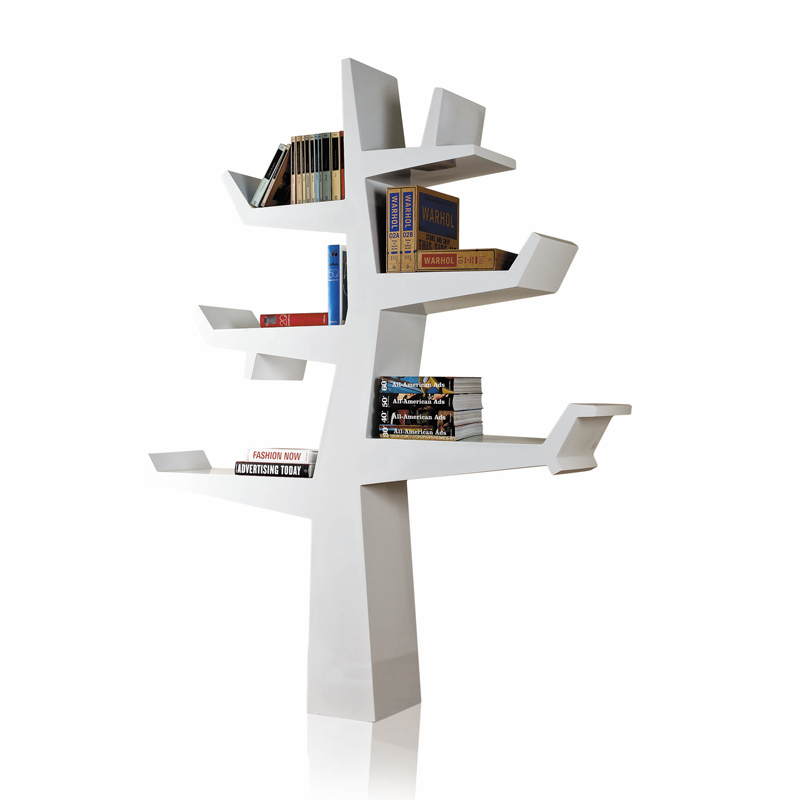 Tree shaped plastic bookshelf. Available in various colours. Completely suitable for covered outdoor areas.